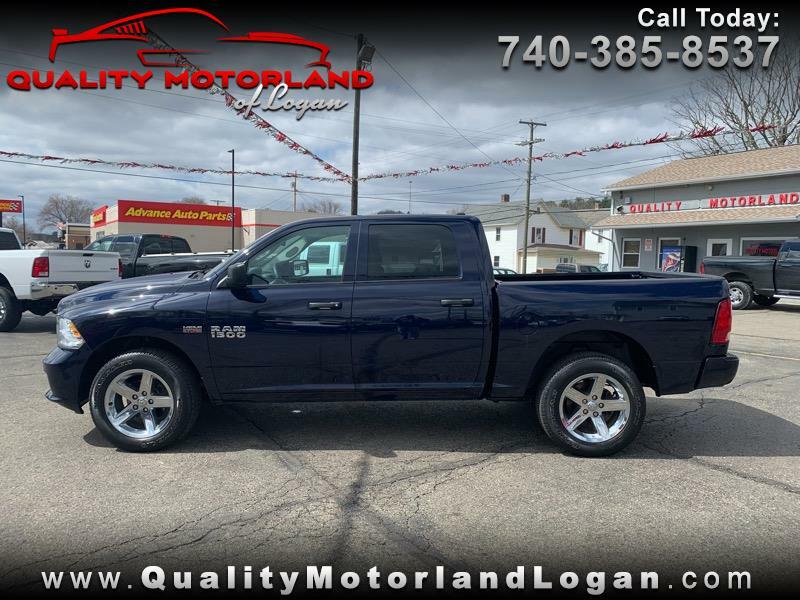 Used 2017 RAM 1500 4WD Crew Cab 140.5" Express for Sale in Logan OH 43138 Quality Motorland of Logan Inc. THIS ONE IS A ONE OWNER RAM LEASE RETURN THAT COMES WITH A CLEAN CARFAX. IT ALSO COMES WITH THE BALANCE OF 3YR/ 36K MILE FULL FACTORY WARRANTY AND THE 5YR/ 60K MILE FACTORY POWERTRAIN WARRANTY. THE DARK BLUE PAINT MATCHED WITH CHROME WHEELS, HEMI ENGINE, AND LESS THAN 20K MILES!! !